Her hair has a mind of its own! Short, funny films with unique perspectives. Our films aim to give you break from the heavy and hard things in today's world. Curious Little Films is rooting for the good in all of us. Check out our latest project, Curl Up & Dye. Layla Soileau, founder of Curious Little Films LLC. Learn about who we are and why we're so passionate about creating short films and series. 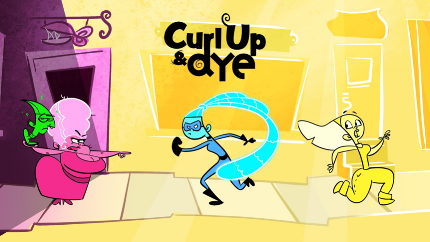 Curl Up & Dye, an animated short film. Curl Up & Dye is our latest project. Check out the website to learn more.